Israel is celebrating 70 years of statehood! Here are 12 ways you can join in the celebrations from wherever you are. 1. Host an al ha’esh - barbecue! What could be better than delicious food, time with good friends, and the chance to enjoy a few hours in the fresh springtime air? Many Israelis will celebrate their country’s 70th birthday with a barbecue – al ha’esh in Hebrew – and anybody who has been in Israel this time of year can see why. To add some extra Israeli flavor when grilling out, you can always include staples like pita, hummus, and Israeli salad. Not into eating meat? 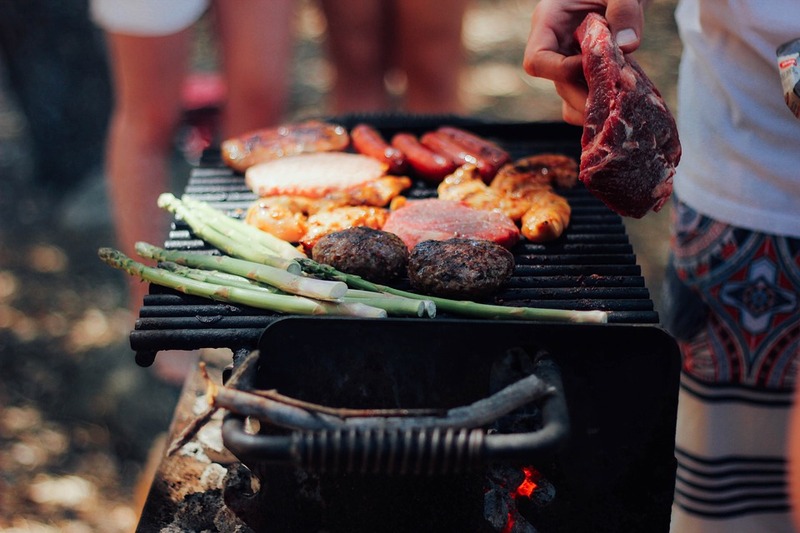 The past decade has seen veganism take off in Israel, and large-scale animal-free barbecues have been organized in recent years – including some in honor of Yom HaAtzmaut. Whether you prefer tofu steaks, corn schnitzel, veggie burgers, seitan-based dishes, or just about any other vegetarian or vegan option, today you can enjoy an Israeli-style al ha’esh the way you want. B’teavon! 2. Try out some Israeli technology. With Israel’s booming high-tech scene reaching consumers all around the globe, today you can enjoy Israeli technology no matter where you are. You may already use technologies developed partially or fully in Israel more often than you realize – whether it’s the USB drive on your computer, the software you use to chat with your friends, or any of the other Israeli high-tech inventions that shape our increasingly digital world. In honor of Yom HaAtzmaut, why not try out some of these technologies that you haven’t gotten around to exploring yet? You can take your pick from this hub for Israeli apps – and for more on the latest innovations, check out The Times of Israel’s “Startup Israel” section or ISRAEL21c’s “Technology” page. 3. The Hebrew word for radio is pronounced rah-dee-oh. Now before you put that smartphone down, you can take in a little more Israeli culture – and learn a little Hebrew along the way! Listen to an Israeli radio station like Reshet Bet, Reshet Gimmel, Galei Tzahal, or Galgalatz. Watch Israeli television broadcasts or even stream an Israeli series online. Read the news – in Hebrew, English, or any of the other languages that are common in Israel. With the possible exception of the food you grill at your al ha’esh (see above), your taste of Israeli media may be the next best thing to actually visiting Israel. 4. Nesiyah tova - plan your trip! As much fun as you can have celebrating Yom HaAtzmaut wherever you live, there’s no substitute for some real time in Israel. If you haven’t had the chance to visit yet, or even if you have, Celebrate Israel’s 70th independence day by planning a trip to Israel! From the beaches of Tel Aviv and Haifa to the religious and historical sites of Jerusalem, from the Negev desert in the south to the greenery of the north, it’s hard to run out of places to see and things to do when you’re traveling in Israel. 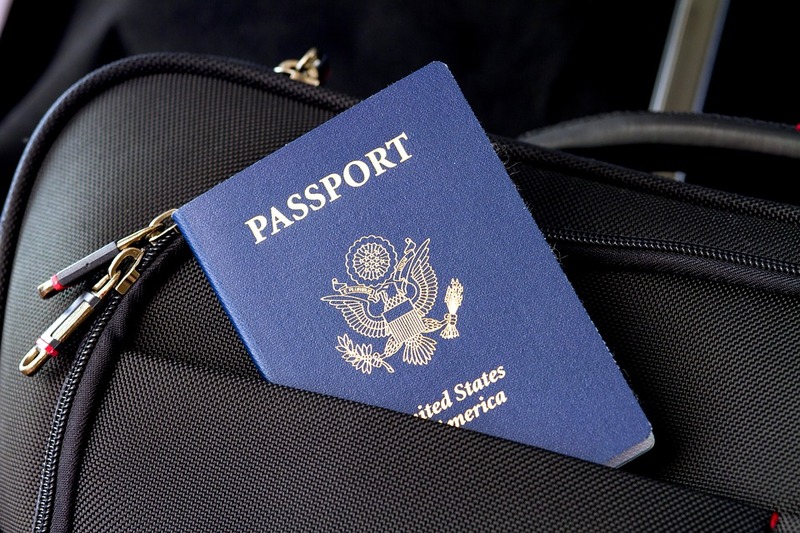 But if you want the purpose of your trip to go beyond just seeing the sights…. 5. Check out volunteer and educational programs in Israel. There has never been a better time to spend time studying and expanding your horizons in Israel. Programs like Project TEN empower you to make a positive difference in the lives of Israeli citizens. If you’re looking for an internship, educational experience or other longer-term Israel experience, Masa Israel Journey helps make it possible for you to spend several months exploring Israel – all while acquiring useful skills and knowledge and having an impact on Israeli society. 6. Talk to Israelis, or reach out to your local Israeli emissary. Since it’s not always possible to make the international flight, sometimes the best way to experience a bit of Israel is through a member of your local community who lives and breathes Israeli culture. That’s why each year The Jewish Agency sends Israeli shlichim – Hebrew for “emissaries” – to Jewish communities and educational institutions around the world. 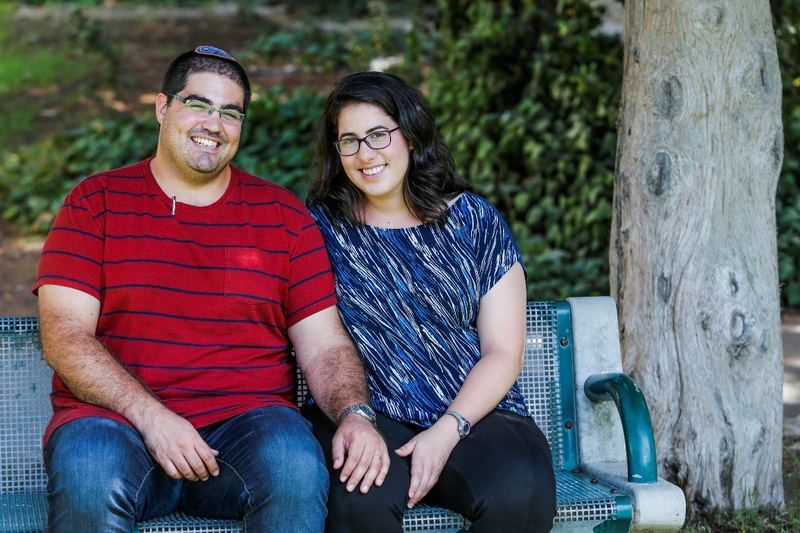 Make friends with Israelis through your closest Jewish Community Center, Synagogue, or Jewish school. If your community already has a shaliach, Yom HaAtzmaut is a perfect opportunity to reach out to him or her and celebrate together. 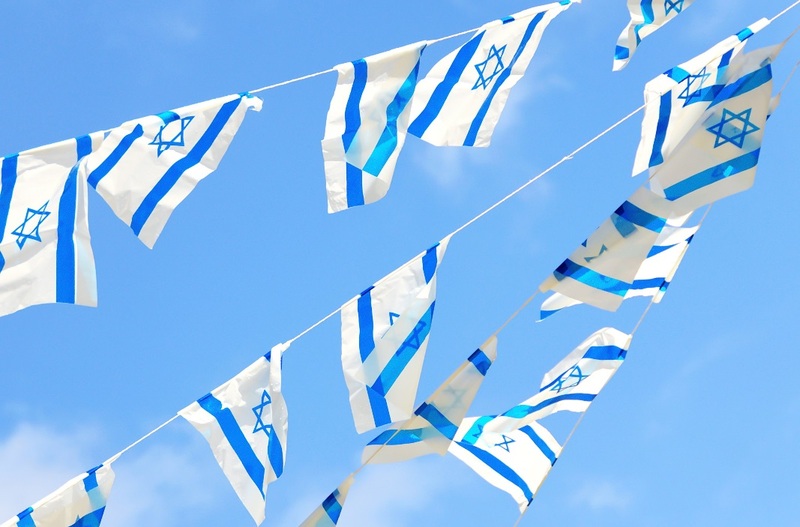 If you’ve ever spent a spring in Israel, there’s a good chance you’ve noticed the day – right around the beginning of Passover – when suddenly it feels like Israeli flags are everywhere. They’re attached to streetlamps. They’re hanging off of cars. They’re for sale in the supermarket. And they’re just one example of a decoration for Yom HaAtzmaut. To give yourself more of an Israeli Independence Day experience, why not decorate your home in honor of the occasion? Flags are just the beginning. You can also use artwork like this, photographs like these, and your own souvenirs from Israel. 8. 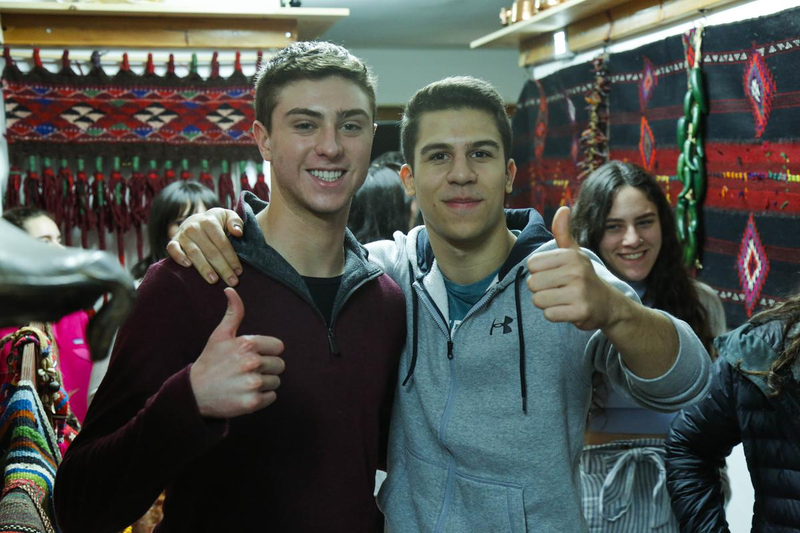 Make friends in the Jewish state by connecting with an Israeli community. 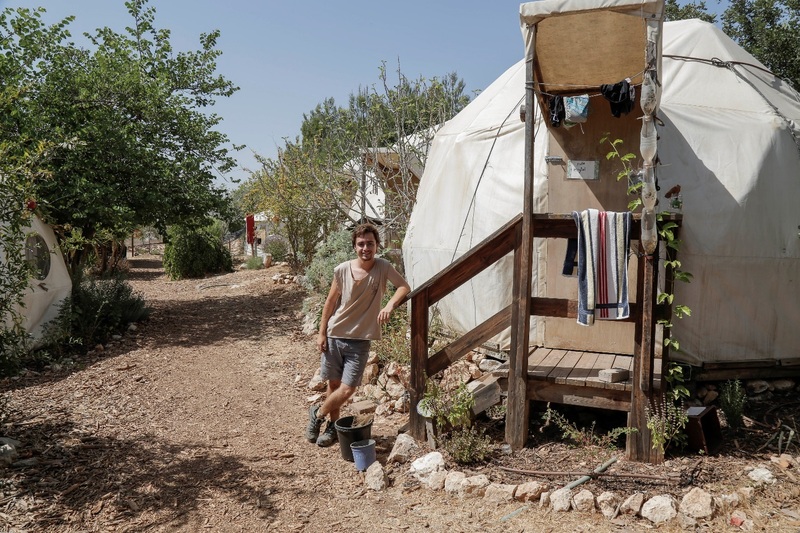 The Jewish Agency’s Partnership2Gether (P2G) program pairs communities in Israel with Jewish communities around the world, helping them build connections and learn from each other. If you’re already participating in P2G, use Yom HaAtzmaut as an opportunity to connect with your partners in Israel and share your thoughts about what Israel means to you. 9. 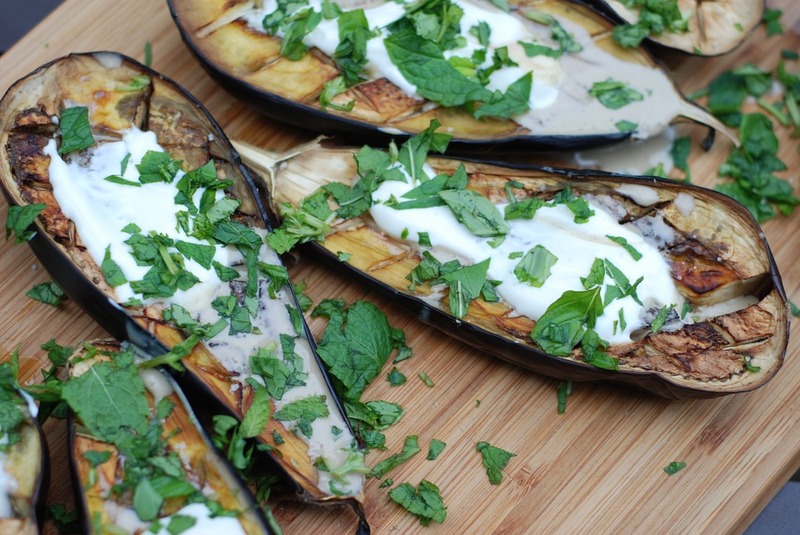 Get out the tahini and make your favorite Israeli dish. What does Israel taste like to you? Israeli cuisine is a mix as diverse as Israeli society, incorporating and adapting foods originating throughout much of the world – and it seems we all have our favorites. Whether you’re all about falafel or you prefer jachnun, whether you love home-baked pita or you prefer Israeli couscous (ptitim in Hebrew), you can add some extra spice to your Yom HaAtzmaut by cooking up a delicious Israeli dish. It’s easy to find recipes in print or online (also: here, here, here, and on lots of other websites) – and if you’re lucky enough to already have a family recipe, you may want to start there. Photo: Wikipedia, some rights reserved. Of course, not all of us are ambitious enough in the kitchen to cook up our favorite tastes of Israel. Fortunately, you may be able to find your favorite Israeli snacks at a local supermarket. 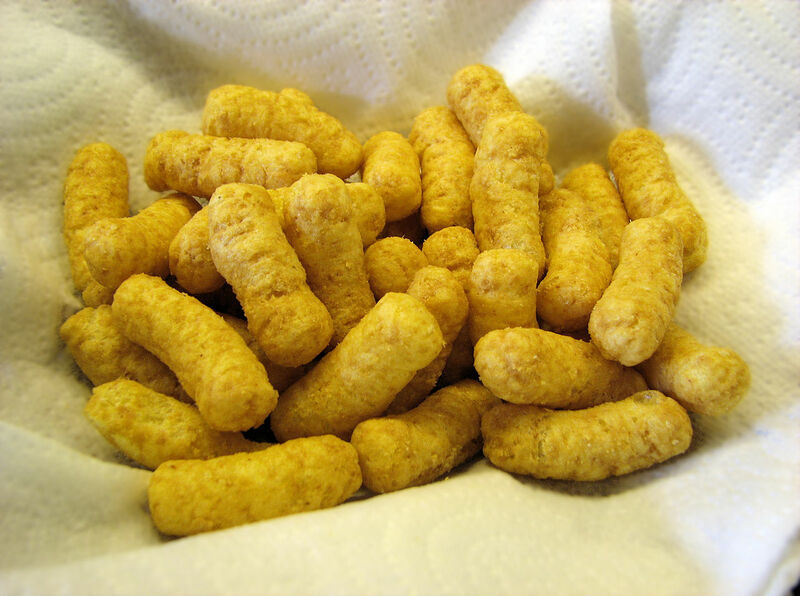 Are you a fan of Bissli or Bamba? Are you all about Israeli chocolate, or do you simply love snacking on anything dipped in store-bought hummus? Whatever your preference, there’s no time like Yom HaAtzmaut to enjoy it. 11. The Jewish state has lots of people of the book. Read one they wrote. 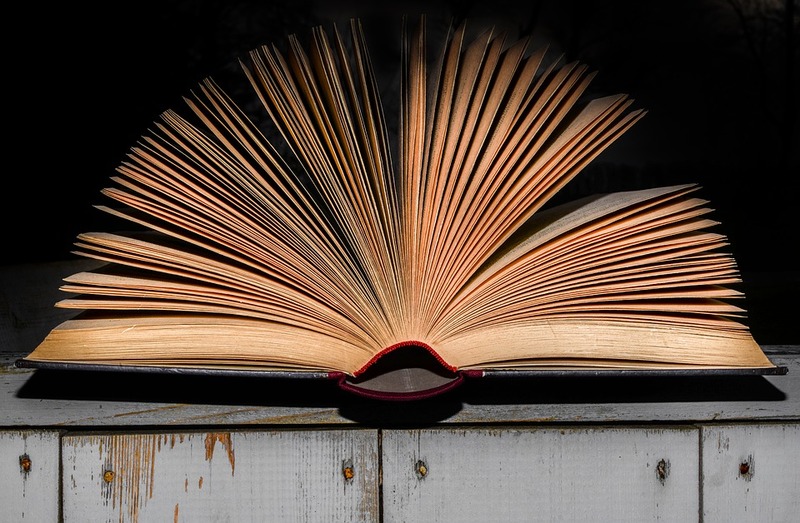 Whatever Israel-related subject you’re most interested in learning about, Yom HaAtzmaut is a perfect opportunity to pick up some great Israeli literature. If your reading comprehension is strong enough, check out some classic or contemporary Israeli authors in the original Hebrew. If you’re a fiction fan but your Hebrew isn’t there yet, enjoy an English translation. Or, if you’re more of a history buff, expand your knowledge of Israeli history in Hebrew or English (or just about any other language). 12. Make a Yom HaAtzmaut playlist. What does Israel sound like to you? 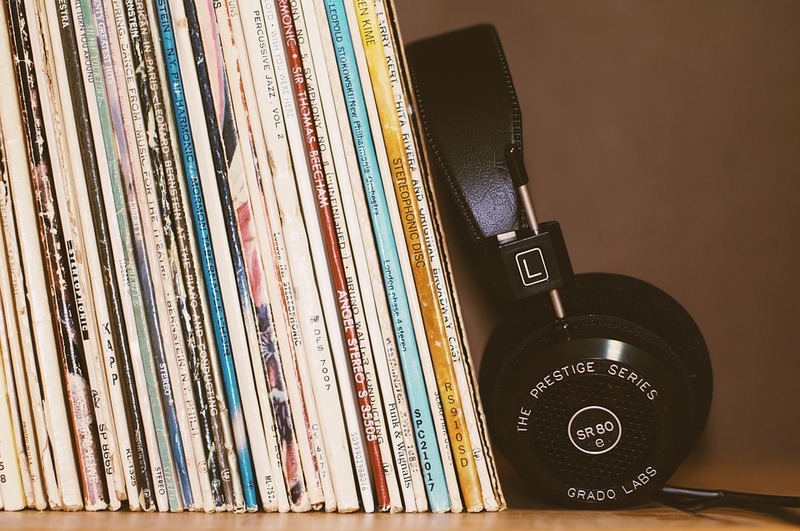 If you have had the chance to spend time there, you may have some favorite songs that really take you back to that time. If you haven’t, you may have some favorites that you grew up with or have discovered more recently. Either way, Israeli music can be an optimal soundtrack for your Yom HaAtzmaut. 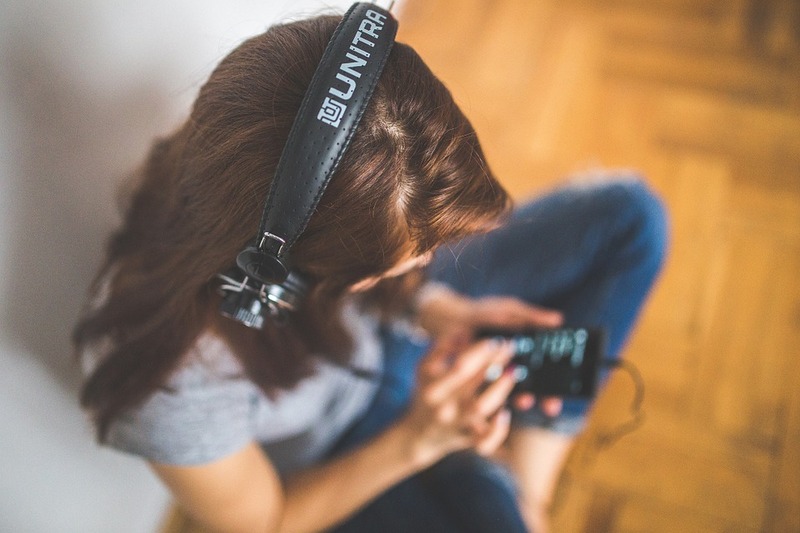 Whether you spend the day working at the office, hanging out with friends, or curled up on the couch with a book, pick out some of your all-time favorite songs from Israel and have a listen. And don’t hesitate to sing or dance along! Bonus: Get in the picture! Yom HaAtzmaut is also an ideal occasion for participating in communal art projects related to Israel. 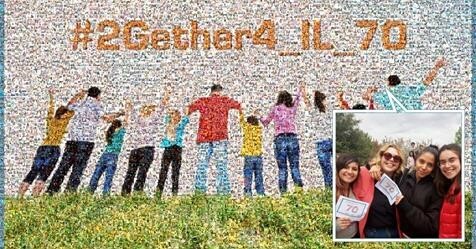 In honor of 70 years of Israeli statehood, we’re building a mosaic made up of photos of Israel’s friends and supporters around the world. You can check it out right here. 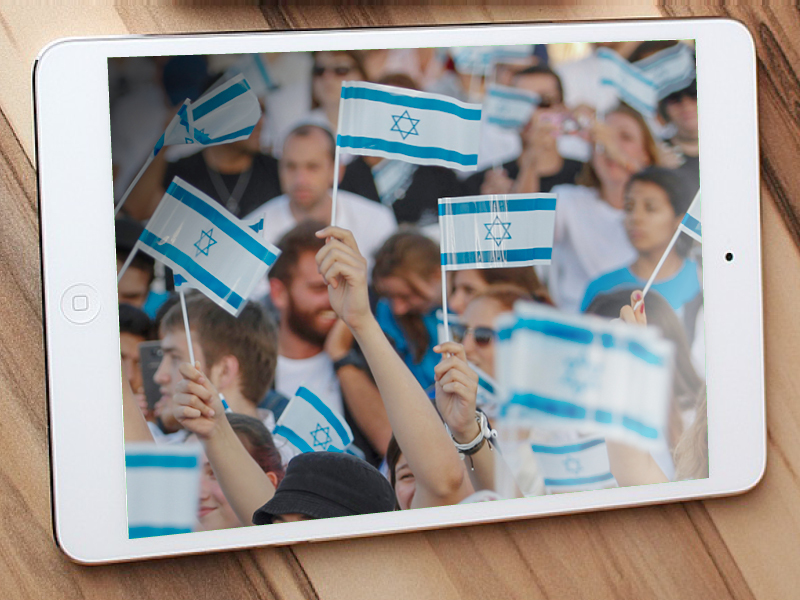 However you celebrate Israeli Independence Day, we invite you to join us by visiting the mosaic online and uploading a picture of your celebration. It won’t be complete without you!